You didn’t expected this one in the top 10 did you? But, what can I say, this movie is so fast paced, and brilliantly written and directed movie. I don’t really love any other DANNY BOYLE film except for this one. I think it is a better movie about drugs then REQUIEM FOR A DREAM, tough they both have a different tone to it, one has a dark and one has more of a fun tone. This movie has a very well written screenplay, along with a GREAT direction, this film is not perfect (IN A WAY IT IS :P), but every time I watch it, I end up having a good time, that things is not easy for every movie to do. It’s pace is one the best I have ever seen, such a brilliant pace, the 90 minutes pass just like that. 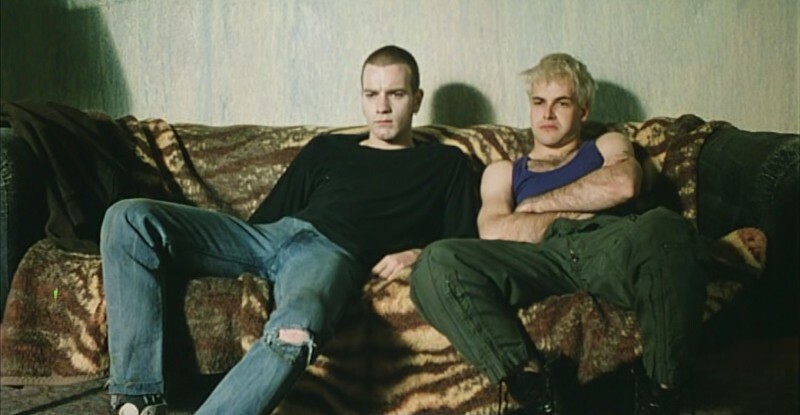 It is a movie about drugs, depravity and all about bad behaviour , it Is an electrifying movie, it is an extraordinary movie. 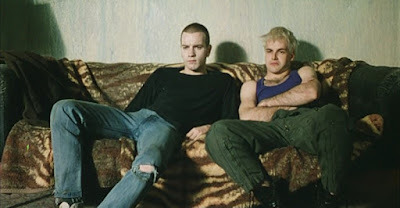 The fast talk in the film by RENTON is so hilarious, and the last scene, the smile on his face reminded me of the classic ONCE UPON A TIME IN AMERICA, tough both had similar reasons to smile, at the end. They surely don’t make horror movies like this today, now most of horror movies with GHOSTS feel unrealistic to me, but few like this and THE EXORCIST are the one’s I like. HIDEO NAKATA has made some not so good sequels of this movie, but no one out of them even came close to matching this horrifying movie. This is a JAPNESSE movie, it has a AMERICAN remake, but the original stays the best. This was the most influential horror movie, for the horror movies of 21st century. It start a huge trend, it is still till date the highest grossing JAPNESSE film. This film really scared me to the fullest, I almost don’t like horror films, because of the scary thing (YES I’M SCARED OF GHOSTS LOL :P), and this movie didn’t let me sleep the night I watched it. It is a very low budget film, which works even better. It is also directed and edited very tensely. It is a very quite film, sound design is just fabulous of the film, and it is very important in the movie, there are not many jump scares in the movie, it does not has any horror musical score, it uses silence to imply the horror. It is brilliant horror film, If you haven’t checked out, be sure to do that. Picking one film out of two PTA’s masterpiece was a tuff thing to do (BOOGIE NIGHTS & MAGNOLIA), but I had to give a slight edge to MAGNOLIA, It is a very well character study as most of PTA films are, also this is one the best movies which is set in 24 hours or in other words ONE DAY. It is a spellbinding classic, It is startling , innovative, hugely funny, and powerfully, courageously moving. PTA’s screenplay makes the movie even more powerful and classic, with top notch acting from ACTORS like TOM CRUISE, JULANNE MOORE. It has one the best songs in movie’s I have heard of “SAVE ME”. This is arguably PTA’s best work, for me THERE WILL BE BLOOD Is his best work, but there is absolutely no doubt saying that this is my second favourite by the conetempoary legend PAUL THOMAS ANDERSON. DAVID FINCHER is one of my favourite directors of all time (IN TOP 5) and I believe this is his best and my personal favourite work. 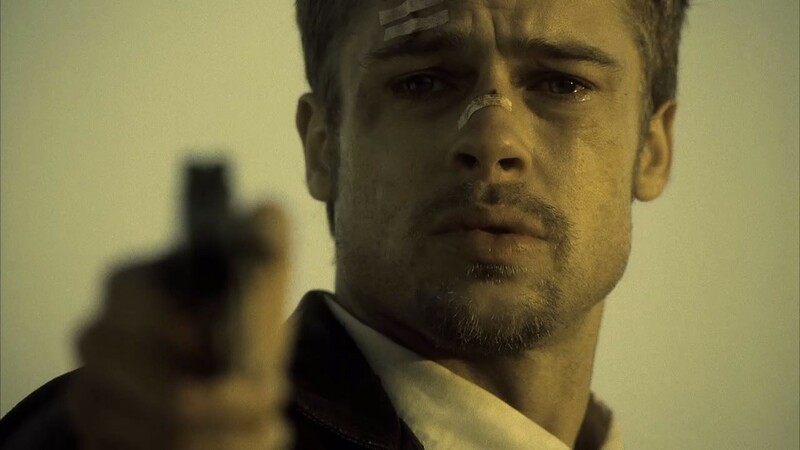 I adore all his work, but SE7EN has something really special, The whole movie is concluded in its third act, THIRD ACT of this movie, is one of the finest filmmaking I’ve ever seen. ENDING Is flawless, I have never been so intriguted for an movie’s ending so much. This movie understands it’s characters so well, MORGEN FREEMAN & BRAD PITT, they come as an awesome detective-duo, it is enjoyable to watch them, as well as them witnessing horrifying stuff, You might have expected FIGHT CLUB on the list, that is also a MASTERPIECE, but it just cannot match the brilliance of this film. (TOUGH I LOVE SE7EN & FIGHT CLUB ALMOST EQUALLY). FINCHER really gave away all his ALIEN 3 anger on this movie and made a MASTERPIECE. Best holucaust movie ever? Arguably YES, I’m not a big fan of MR. STEVEN SPIELBERG, but that being said I love few of his films like JAWS, CLOSE ENCOUNTERS TO THE THIRD KIND, MUNICH & this. 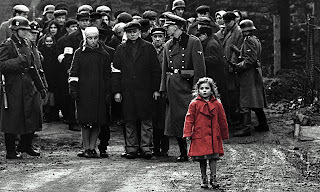 He creates great movie, no doubt just not my type :P. SCHINDLERS LIST, remains his best work till date. This is nearly 4 hour movie, but never feels so by the brilliant direction and writing. 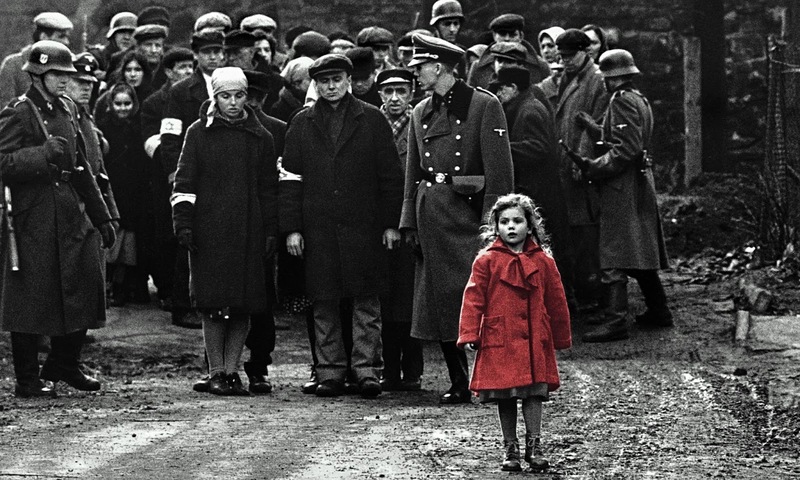 It has a gorgeous BLACK & WHITE cinematography, No film except SCHINDLERS LIST have suited best with BLACK & WHITE cinematography In the last 26 years, I repeat NO ONE! This is for sure the most emotional movie of 1990s, and the most powerful one, I still don’t have the guts to watch this movie again and again, No its not that kind of a movie, it gives the message in its first viewing itself. I wouldn’t call this a WAR movie, I think it is more of a POLITICAL WAR movie, but nonetheless this movie is just PERFECT! Yes, three movies in a single place, but I had to do it, KRYSZTOF KIESLOWSKI’s last three films showed the audience how to make a GREAT women-centered movie, He made all three in two years, that is one tuff thing to do, but did he made all three GREAT? ABSOULTELY YES! Now, filmmakers have been making films back to back, but all of them being GREAT, I don’t think so (THE MATRIX anyone? ), (I KNOW LORD OF THE RINGS :P). All three movies are perfect, each one has it’s own tone, like for BLUE It is MUSIC, for WHITE It is COMEDY, and last but not the least for the RED It is MYSTERY, tough DRAMA & ROMANCE stays constant in all of them. THREE COLORS TRILOGY, is one the best trilogies of all time, all three nearly FLAWLESS, each with a unique topic, If you haven’t seen this, next thing to do, is think where to get these 3 MASTERPIECES. If I had to pick one, although all three remain equal to me, it would the last one “RED”. Master STANLEY KUBRICK’s last movie, which got negative/ mixed reviews back then, but now is hailed as one of his bests, tough still some people hate it, NO PROBLEM, I call this movie a LOVE or a HATE movie, and which side am I? Of course, I love this film, that’s why it is on the list, this is definetly in my top 5 of KUBRICK. First of all, it has one of my favourite actresses of all time NICOLE KIDMAN, she gives one of his best performance. Tom CRUISE the ultimate ACTION star known did brilliant work without ACTION back then. 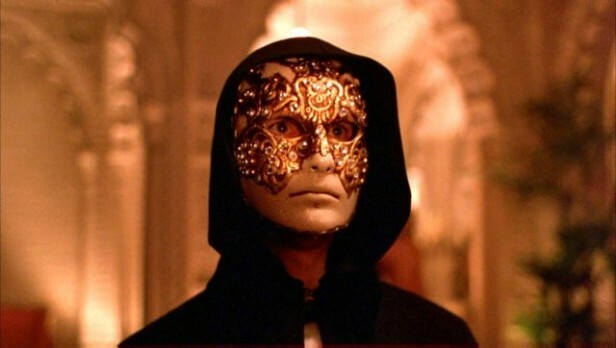 It has such an interesting plot, it understands all about relationships and shows the cruel side of it, the camerawork of this film is genius, I think only reason this movie failed back then was of it’s bad marketing campaign, this is KUBRICK'S last gift to all, and his most unique one. Yes, I belong to the very little population who thinks THE THIN RED LINE was better then SAVING PRIVATE RYAN, SPR has some of finest WAR sequences, especially the first and the last one, no doubt about that, but that’s it, nothing else, I am very sorry SPR lovers. THE THIN RED LINE, Terrance Malick made a film after 20 years, this was his follow up to 1978’s brilliant DAYS OF HEAVEN. This is just not a WAR film, it has a MALICK touch to it, which makes it poetic and beautiful. It is so deeply thoughtful, Now many people I have witnessed find MALICK films boring, no problem EACH TO HIS OWN, but I personally love his films, one of my favourite directors of all time. His movies are always so different and wonderful. This is most probably my favourite of his, toss up between this & DAYS OF HEAVEN. The narration made by every character is so cleverly written, every word has its own meaning, MALICK is surely a toughtfull person, I don’t know where he gets such a GREAT mind, to make something like this. SPR may have more action then this, but It cannot match the beauty of this movie. This is a gangster movie, Wait it also is a wonderful drama as well, also it has a lot of dark humor, all credits goes to Mr. QUENTIN TARANTINO, with is brilliant writing and non-linear style of story-telling. This movie is funny but it is on a serious topic, Every time I watch this movie, truly I laugh especially at the end, SAMUEL L. JACKSON, at his best. 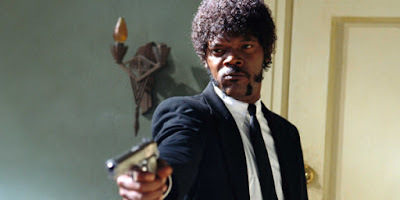 This film has introduced audience to a new method called “PULP FICTION” method. I love every second of this movie, It has all the typical TARANTINO elements like long conversations and all, It is a very enjoyable movie. I think majority of you, who are reading this must have watched the movie, cause it so GREAT. Every week once or twice I get a post on FACEBOOK, about PULP FICTION and what was in that suitcase, that crazy this movie is, even after more then 20 years of its release. Weather you look it from ACTING to DIRECTING to WRITING to SONGS, this movie is perfect in every ways. This is one of those films which revolutionized the filmmaking. TARANTINO has two more masterpieces (RESERVOIR DOGS & JACKIE BROWN) of him in 1990s, but nothing can beat this cult. · THE SHAWSHANK REDEMPTION – One of the best movies about prison life, and an inspirational one. · L.A CONFIDENTIAL – One of the best CRIME, MYSTERY movies, TOP-NOTCH performances. · THE BIG LEBOWSKI – One of the greatest comedies of all time. · FARGO – Coen brother’s at their best. · MILLERS CORSSING- Another Coen’s masterpiece, this time a CRIME-DRAMA. · FIGHT CLUB- The most badass movie, ever made. · BOOGIE NIGHTS- Sort of WOLF OF WALL STREET of the 90’s, and directed by the genius PTA. · HEAT- Best heist movie ever? Arguably YES! · UNFORGIVEN – The best WESTERN by far in the last 26 Years. · THE SILENCE OF THE LAMBS- The best thriller of the 90s. · RESERVOIR DOGS/ JACKIE BROWN – TARANTINO’s masterpieces. · FUNNY GAMES – It is MICHAEL HANEKE’s 5th best movie to me. · PI- Darren Aronofsky’s low budget masterpiece. · THE GODFATHER PART III- Got a lot of unwanted hate, not at the level of first two but still good. · AMERICAN HISTORY X- EDWARD NORTON at his best. · GOOD WILL HUNTING – One of the best screenplay, great acting. · THE TRUMAN SHOW – Unique and best performance given by JIM CARREY. · THE LION KING – My 2nd favourite animated movie of all time. 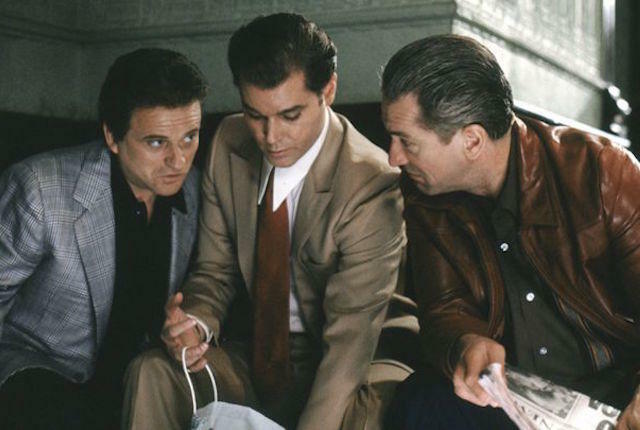 · THE AGE OF INNOCNCE – One of SCORSESE’s most underrated. · THE DOUBLE LIFE OF VERONIUE – A M.A.S.T.E.R.P.I.E.C.E. · ANDAAZ APNA APNA- Greatest Indian comedy? YES! · TO LIVE – One of the most heartbreaking movies of 1990s. · CHUGKING EXPRESS – ROMANCE + MYSTERY = INTRESTING MOVIE. · GHOST IN THE SHELL – One of the greatest anime’s. DON'T FORGET TO GIVE A FEEDBACK, DOWN IN THE COMMENT SECTION!